As most of my regular readers know, I moved a few months ago from rural Vermont to urban Connecticut. I moved so that I could help start multiple churches across Connecticut. I led a similar ministry in Vermont, but on a smaller scale. Like many people, I have a tendency to try to do too much in my own strength rather than relying on the Lord. This morning as I looked at my calendar I realized that I have a lot of BIG things happening in my life over the next 72 hours. Resisting the temptation to skip my morning quiet time and just start on the list, I decided to hike to the top of a nearby mountain and spend some time reading the Bible and talking to the Master. While on top of the mountain, I was inspired by the presence of the Holy Spirit and made this short video. Perhaps it will inspire you as well. We live in a self-obsessed culture in which children are bombarded with messages from media, peers, and sometimes well-meaning adults, to take care of themselves first. While a certain amount of self-care is definitely needed for physical, emotional and spiritual heath, clearly our society has gone overboard with the issue and we are producing a generation of narcissists who think the entire world revolves around them. As a church planting missionary for nearly 20 years, I have often pondered how we might help our children go against our self-centered culture and learn to care for missionaries in general, and church planters in particular. I believe that helping children focus on something other than themselves is a positive thing. In that vein of thinking, here is a list of ten things families with children can do to help plant churches. 1. Adopt a church planting missionary with the same age children and become pen pals with those missionary children. 2. 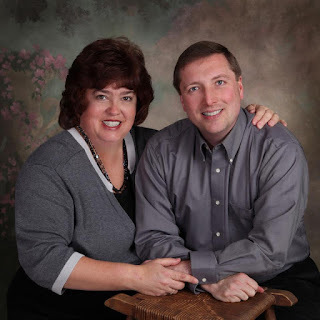 Make two posters with the missionary family’s picture and various prayer requests on it. Hang one in a prominent place in the house so your family remembers to pray and hang the other one in your child’s Sunday School classroom so that other children can be praying too. 3. Encourage your children to “tithe” on money received for birthdays and Christmas and use the money to select an age appropriate gift for a missionary child and send it to them, along with a card. 4. Plan a vacation near the area where the church planter serves. Offer to take their children (or perhaps their whole family) with you for the day to a nearby amusement park as an expression of your appreciation for their parent’s missionary service. 5. Plan a vacation near the area where the church planter lives and invest one day of your vacation helping the church planting missionary family with some type of ministry project (clean a park, paint a porch for an elderly person, serve in a soup kitchen). Make sure it is a project the children can fully participate in. 6. When parents do their “Back to School” shopping, consider sending a “tithe” of the amount spent in a gift card to a church planting missionary so they can do the same type of shopping for their own child. 7. Request of list of small items the missionary needs (office supplies, Sunday School supplies, etc.) and have your child become the advocate for collecting the items in a “Christmas in August” type promotion. 8. Learn all about the missionary and volunteer to teach a missions class at your church’s annual Vacation Bible School. Have the children pray each day for a current prayer request from the missionary. Have the children make cards to mail as a group to the missionary. Have the children bring in change each day for a love offering to send to the missionary. Make prior arrangements to Skype with the missionary and his family one day during the class so the children can interact with them. 9. Select one thing your family enjoys but is willing to “fast” from for one month (going out to eat, going to movies, bowling, etc.). Each night before bed pray for the missionary family. At the end of the month send all the money saved by not doing whatever activity you fasted from to the missionary and suggest they use the money to enjoy the very thing you fasted from. In order words, your family skips going to the movies for a month so a missionary family can go the movies, or some other similar activity. 10. Consider paying for a missionary child to join your own child at his favorite summer camp. This will not be feasible for all families due to cost, but imagine how cool it will be for those who can do it! I am sure I could keep listing ideas, but the key to all of them is teaching our children to pray for church planting missionaries, to advocate that others pray for those missionaries and to give up something in order to bless someone else who is doing mission work. Some may ask why this post focuses more on church planting missionaries in North America than missionaries in other nations. While I think we need to send missionaries around the world, after having been involved in North American missions for nearly 20 years, it is clear that church planters are often the “forgotten” heroes that no one thinks as being “real” missionaries. Everyone gets excited about supporting a missionary in some exotic land, but few are as excited about planting a church in New England, one of the least evangelized areas in North America. The reality is that if we lose America, we will not be able to send missionaries to other nations. As we look at what is happening in our nation, we clearly are losing our nation. That means we need a wave of missionaries right here at home, and church planters are on the front lines of that effort. So be passionate about those who go to other nations, but do not forget to be just as passionate for our North American church plants. 4. Gift card collection. Pick a Sunday and ask each family in the church to buy one gift card from places like McDonalds, Wal-Mart, Staples, or Target, and send them to the church planter. He can use some for his family and use some for buying ministry supplies. If each family puts a note of encouragement with their gift card, then it also becomes a great way to help a church planter feel cared for. Cost: varies, depending on how much a family wants to spend on a card. 5. Encourage families in your church to vacation in the area where the church plant is and “tithe” one day of their vacation to help the planter with an outreach project. Cost: $0, since you are there on vacation anyway. It was in the fall of 1987 that I began to suspect that she might be “the one.” It made me nervous, and excited, all at the same time. I had only had a few girlfriends in my life, and none of them were like this one. Karen, or Kay as I called her, was amazing. She loved new adventures. She had a mischievous playful side. She dressed well. Most importantly, she loved the Lord Jesus and wanted to serve Him in a big way in her life. I was working part time at a church at the time, and did not have a lot of money. But Sears was having a sale on rings, so I bought one. It was not much, but it meant a lot to me. I made arrangements for us to go to the same place where we had our very first date. I went early and told the manager that we needed to sit in the same booth as our first date. Initially, he said he could not save us a certain booth. When I explained why I needed that particular booth, and what I planned to do there, his romantic side took over and he readily agreed. Later that night we sat in that booth and talked about stuff. We did a lot of that back in those days, just talking about stuff, sharing our hopes, dreams and hearts with each other. At some point in the conversation I pointed out that this was the same place we had our first date. She missed the cue. Later I mentioned that it was the same booth we had sat in and that I had ordered that same meal from our very first date. I think she began to suspect. We agreed that we had many happy memories that started in that very booth. Then I told her that I wanted to spend a lifetime making memories with her and pulled out that pitiful ring from Sears and asked her to marry me. I am so happy she said yes. And then the manager and employees burst out of the kitchen, where they had been spying on us, cheering and congratulating us. 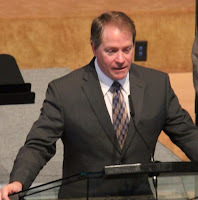 The next few months were a whirlwind, as I graduated from college, as we planned a wedding, as the church moved me from a part-time to a full-time position. But finally, the DAY came. August 13, 1988. I was trying not to act nervous, which just made me more awkward than ever. The men walked in first and then one by one all those other ladies and ring bearers made their way down the aisle. Honestly, I did not care much about any of them, in my mind they were just distractions. I wanted to see her! And suddenly, there she was. Arrayed in an amazing dress, with that lovely smile on her face and that twinkle in her eye, she floated down the aisle and honestly, the rest of the ceremony is a bit of a blur. It seemed otherworldly as we made our vows to each other. What I remember most is the overwhelming sense of love that we had for each other on our wedding day. Now, 25 years have passed. She is still a bit mischievous. Her family still loves to laugh when we are all together. We are still making memories as we serve the Lord together planting churches in New England. I do not know what my life would have been like had I not married Karen Ann Jonas 25 years ago, but I know it would not have had as much joy, fun, peace, love, happiness and fulfillment as she brings to me. Happy Anniversary sweetheart, you are still the only one for me. 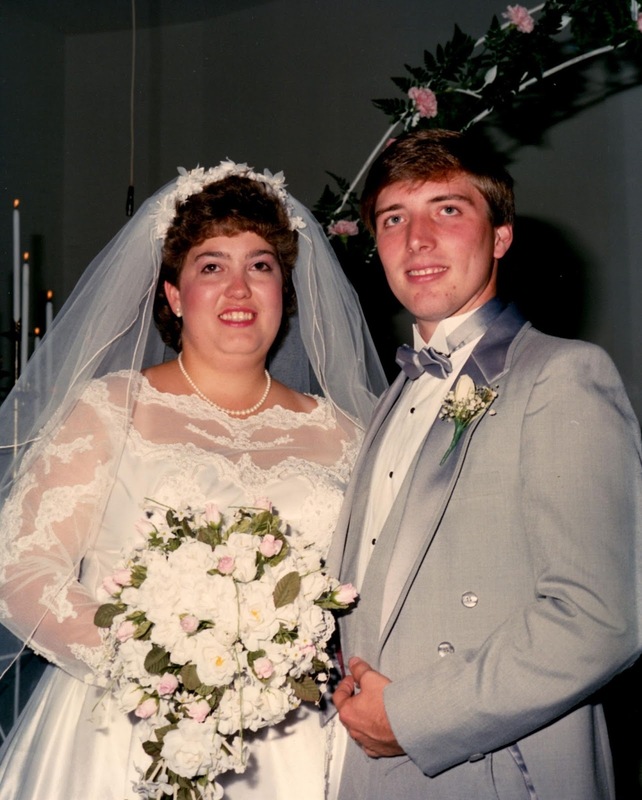 And I look forward to another 25 years of making adventures together. Does the first paragraph below sound familiar? A group of men gathered to discuss the awful condition of the church in their communities. "The worldly places were crowded and the churches were virtually empty. The young people had just about disappeared and it seemed that many churches were about to close their doors." Well, there is hope! Read on. Among the many people who were concerned about the state of the church, was a small group of men from Barvas, Scotland. They agreed to meet in a small barn to pray. They decided that since God is a covenant-keeping God they would stand on the promise for revival in 2 Chronicles 7:14: "If My people which are called by My name shall humble themselves and pray and seek my face and turn from their wicked ways, then will I hear from heaven and forgive their sin and heal their land." That night they entered into a solemn covenant with God to pray for the community and to humble themselves in prayer until revival came. For months, they prayed and waited on God three nights a week. Some nights they wrestled and prayed until 4:00 a.m. Finally one night, a young deacon arose from his knees and began to read Psalm 24, "Who shall ascend into the hill of the Lord? Or who shall stand in His Holy place? He that has clean hands and a pure heart -- he shall receive the blessings of the Lord." In response to this challenge, they fell on their knees in repentance, confession, and re-dedication. They began to pray even more earnestly. Soon, the barn was filled with the glory of God. The divine power that was unleashed in that little barn soon shook the whole community and eventually all of the Hebrides Islands in 1949-52. LORD, send revival to New England & Canada! Dr. David Arnett is the President of Northpoint Bible College in Haverhill, Mass. When I was in the 8th grade my Sunday School teacher taught us how to have a daily quiet time with God. This included Bible reading and prayer. I started having this time with God and it has sustained me through many years of life. As a young person, I naively believed that every Christian shared my passion for a daily quiet time. As I have gotten older, I realized just how few people really do. 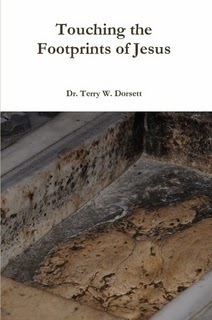 In an effort to help people develop this important spiritual discipline, I wrote Touching the Footprints of Jesus, a 28 day devotional guide based on a trip my wife and I went on to the Holy Land with a group of pastors from New England. It was an amazing week as we visited the places we had learned about in seminary and preached to others about for years. Throughout the trip I made notes of what the Spirit was speaking to me. Though my notes were originally only for my own spiritual edification, a few months after the trip I realized that others might be as blessed by the experience as I was. This devotional guide grew out of those notes, and is a picture into my soul of what the Lord taught me as a result of the trip. It is my prayer that readers will be blessed as they touch the footprints of Jesus, and that they will relearn the spiritual discipline of having a daily quiet time with God. I also wanted to include the link for the Malachi bible study book I wrote last year. 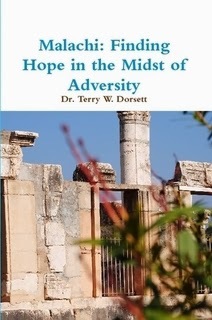 Many people have found it helpful in their study of that great Old Testament book.